Most everyone over the age of 10 remembers that moment in The Wizard of Oz when Dorothy steps from the black-and-white world of Kansas into the kaleidoscope of color that is Oz. Dorothy’s eyes widen at the site of the sparkling sky, the radiant green trees and, of course, the Yellow Brick Road. And happily, there’s no such thing as a “wrong” color for a home. “If you love a color, you should use it,” Chandler says. 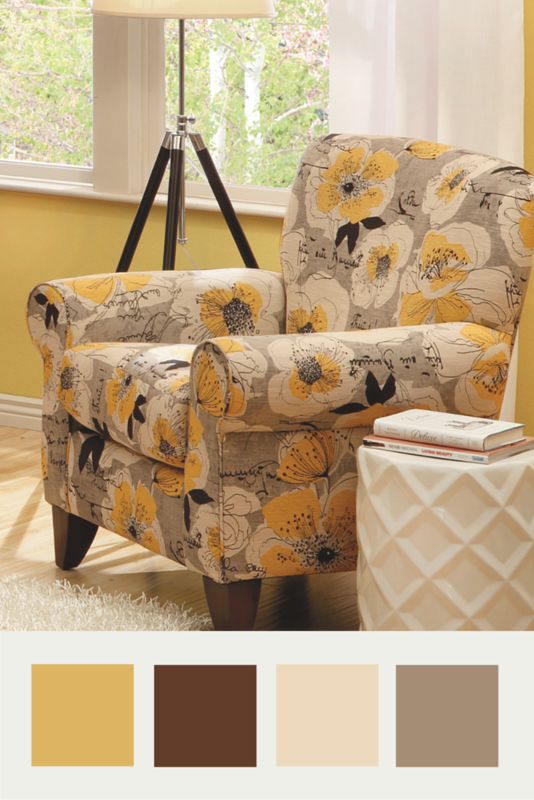 Classic color combos: Colors that are next to each other on the wheel and are a natural progression of one another. Complementary color combos: Colors that are the exact opposites on the wheel — such as orange and blue — that can really make a room pop. 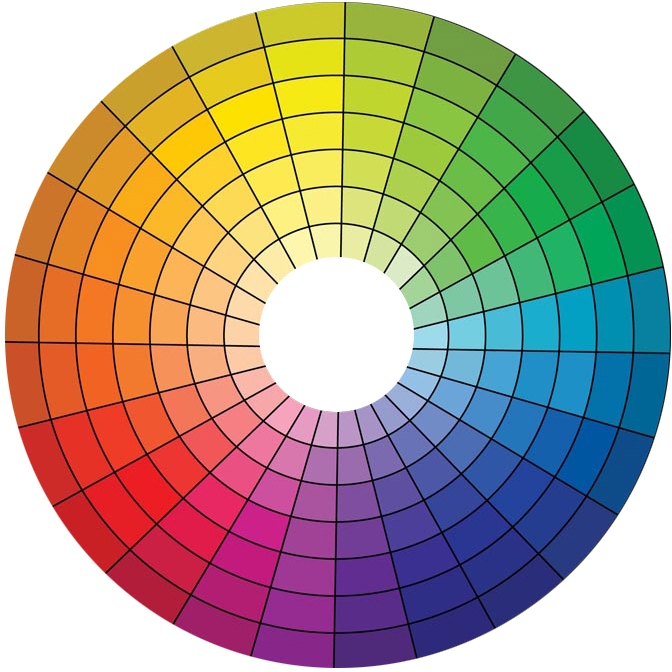 Triadic combos: Any three colors equally spaced around the wheel — for instance, magenta, turquoise and yellow — that create an eclectic and risk-taking effect. 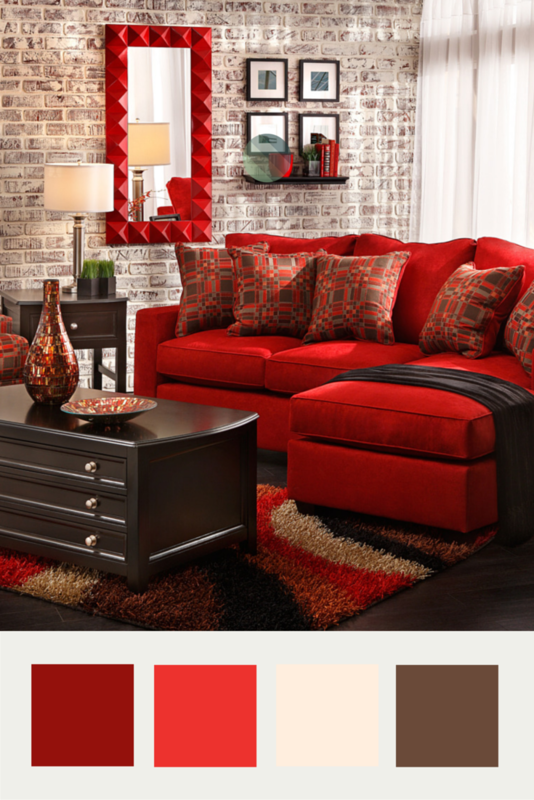 Monochromatic combos: Various shades of one main color used to easily create striking rooms. 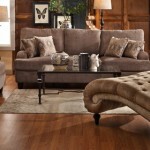 Raquel Sofa Group from Sofa Mart. Certain colors naturally lend themselves to particular rooms, says Tucson, Arizona-based interior designer Leah Bruns. Oranges, reds and yellows, which naturally elevate blood pressure and mood, are ideal for family rooms and social spaces. 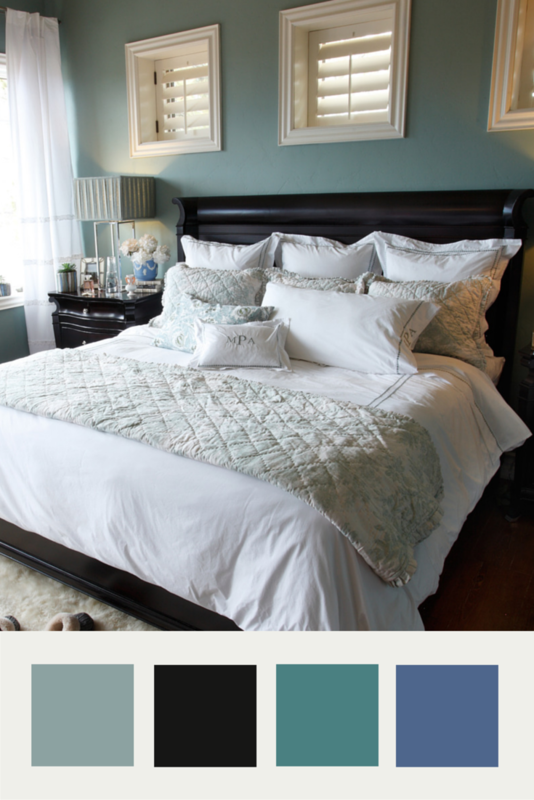 Shades of blue, green and violet, which are calming and relaxing, work well in bedrooms, studies and dens. Blue and green, or soft yellows, golds and browns — even a dark peachy-pink — are good choices for rooms that couples share because they’re neither overtly masculine nor feminine. Avoid blue in kitchens: It kills the appetite. Yellows and greens — the colors of fresh, delicious produce — are good color complements to cooking areas. 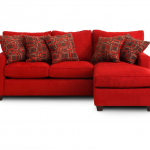 Red works well in dining rooms, as it stimulates the appetite. For the bathroom — the room for cleaning up — white bespeaks freshness. Blue is also a “clean” color — think water or the lining of swimming pools — and is a classic teamed with white. Bedroom provided by Bedroom Expressions and the Linen Shoppé. To narrow the choice of colors, think about what makes you look and feel good. Heather Smith, principal designer at H&K Interiors in Wallingford, Pennsylvania, asks clients what colors they enjoy and observes what colors they’re wearing. Keep in mind that intensity is as important as the color itself. For instance, while navy and baby blue are both blues, navy sends a strong, masculine message whereas baby blue delivers a softer, gentler feeling. Intensity is important when it comes to unifying colors within a home. Say the dining room is fire-engine red and the living room is a soft green. Going from room to room might feel jarring, especially if there is no architectural connective element, such as a hallway. To make the colors, and thus the rooms, flow together smoothly, match the intensities: Choose a browner red to match the green, or turn the green up a notch, to apple green, to match the bright red. A room’s architecture can also guide color choices. In a room with huge windows that offer a spectacular view of nature, Smith says she’d use organic colors — russet browns, mossy greens and gold tones. A cityscape inspires a more monochromatic palette — black, brown and white with splashes of saturated red or even turquoise. Accessories, artwork and furniture can add pops of color to a neutral palette. “Artwork is a wonderful way to introduce new colors without changing everything,” says Margi Kyle, a Charlotte, North Carolina based interior designer. To find accent colors, carefully examine a piece of artwork or an area rug to find a secondary color — such as a black or green border in a carpet. Then decide whether you want to contrast the color or have the colors blend in and work together. Whatever you decide, don’t be afraid to use color to create a home with vibrancy and personality. Living Room provided by Sofa Mart. Choose medium or light hues. They open up a space, particularly one with little natural light. Go monochromatic. Paint accent trim and walls the same color so there’s no interruption in the line of the room. Avoid wainscoting and other architectural touches that do the same. Use dark wallpaper to enlarge a small room. Choose patterns with depth (shadows or multiple versions of the same color). Consider the four-wall effect. If you make one wall contrasting, your eye stops there, as opposed to perceiving one uniform space. Get more home decor tips by pinning with us.